Those who are looking for an effective and simple way to transform their smile now turn to porcelain veneers. Porcelain veneers are versatile, allowing them to be the perfect alternative choice for certain orthodontic treatments. The dental veneers instantly hide cosmetic flaws while making the teeth appear straighter and more proportionate. Instead of having to undergo months of orthodontic treatments, you can get a straighter, more attractive smile in just a couple of office visits. 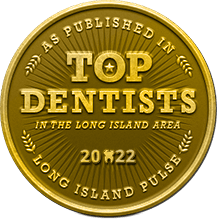 As a cosmetic dentist for Long Island porcelain veneers, we can fill small gaps between the teeth, while hiding chips, cracks and other imperfections hurting the appearance of your smile. Porcelain veneers have quickly become one of the most preferred cosmetic treatments to transform smiles because they are very versatile while producing a wide range of benefits. 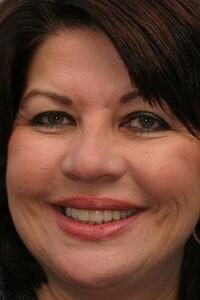 Veneers are false fronts that are bonded to the front side of the teeth. By bonding the veneers to the teeth, you’ll hide cosmetic flaws like chips, cracks, and abnormally shaped teeth while instantly whitening the teeth. However, veneers offer another alternative—orthodontic benefits. Veneers are effective for treating minor alignment issues by filling in gaps and making slightly overcrowded teeth appear straighter. As a result, you won’t have to undergo months of orthodontic treatments or the discomfort of orthodontic devices. Instead, you’ll get a shapelier smile while making your teeth more proportionate and attractive. There are many different materials that veneers are made from; however, most have come to prefer porcelain. Porcelain closely mimics natural enamel as light reflects off the surface of porcelain similarly to how it is reflected off of enamel. As a result, you’ll have a natural-looking solution. Plus, porcelain veneers are thinner than other types of dental veneers. Since the veneers are thinner, less of the tooth structure is removed during the bonding process, allowing you to preserve the integrity of your teeth. To benefit from porcelain veneers, you’ll need to undergo a consultation to determine if you’re a candidate for the veneers. If it’s determined veneers can help enhance your smile, we will create a customized treatment plan. We will thoroughly clean your teeth and prepare your teeth for bonding. We will lightly etch the surface of your teeth, then we will take images and impressions to create your customized smile. While you wait for your new veneers to be made, we will attach temporary veneers. After your new veneers are ready, we will remove the temporary veneers and bond your customized veneers to your teeth. Using a simple and noninvasive procedure, you’ll walk out of our office with a completely new smile. 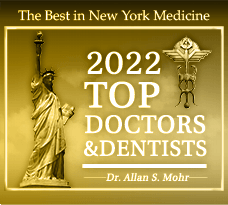 As the best Long Island cosmetic dentist, Dr. Allan S. Mohr DDS is here to give you the straighter, more attractive smile you’ve always wanted. 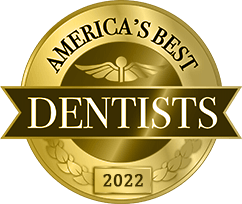 Combining his extensive expertise in cosmetic dentistry with the latest dental advancements, he’ll give you a truly artistic smile. 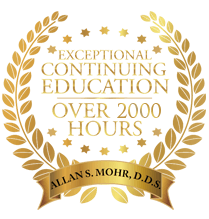 If you’re ready to benefit from a new smile, let Dr. Mohr give you a custom smile with Long Island porcelain veneers. by: allanmohr at June 25, 2016 .